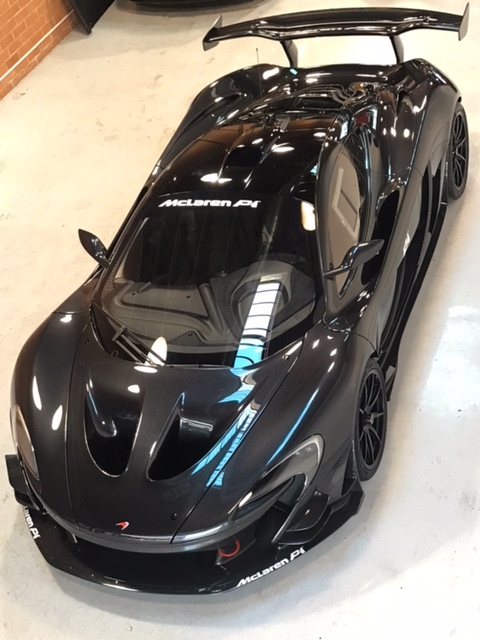 McLaren P1 GTR Road version – black car now sold, but we do have a new, delivery km, pearlescent white car coming. Please call for details – +44 7785 355 378. 2016 McLaren P1 GTR Road version. UK registered with delivery mileage only. 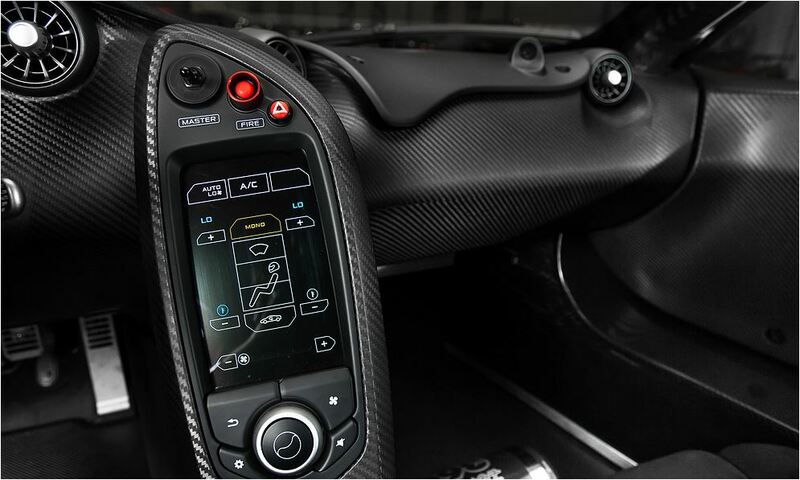 Metallic black with full polished carbon interior. Comes with full race pack and spare set of wheels. Celebrating 20 years since their victory in the 1995 24h Le Mans win, McLaren announced that they would resurrect the GTR name by launching a track-only version of the P1, the P1 GTR. The P1 GTR was made available to the 375 P1 owners only, and the production was limited to 35 units. The concept car made its debut at the 2014 Pebble Beach Concours d’Elegance in August 2014. 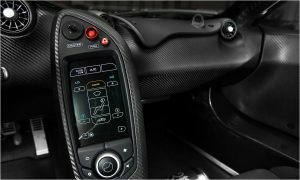 The P1 GTR production model was officially unveiled at the 2015 Geneva Motor Show The GTR variant is priced at GB£1.9 million. 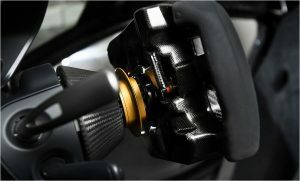 This price includes a worldwide owners trackday series; later P1 GTRs were offered for less money, approximately $1.7 million, for those P1 owners who had no interest in the track series but still wanted to purchase the GTR variant. 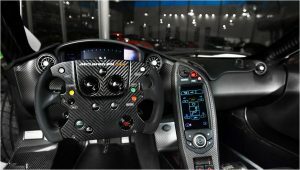 McLaren states that this is the most powerful McLaren to date, with an intended power output of 987 bhp (1,000 PS, 735 kW). The car will also feature slick tyres, and have greater levels of performance, grip, aerodynamics and downforce in comparison to the road car. Featuring a new fixed ride height on race-prepared suspension, a fixed rear wing capable of using DRS, and a new exclusively designed exhaust, McLaren aims to deliver the ultimate track experience. 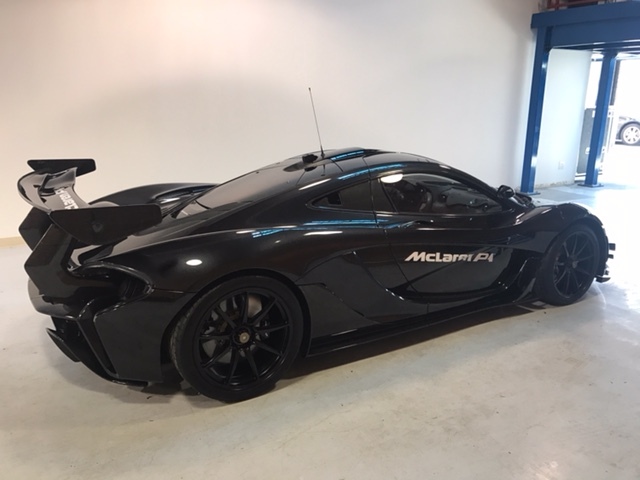 This limited edition went in to production in 2015, after all 375 standard P1’s were built, as homage to its race-winning ancestor, the iconic F1 GTR. The P1 GTR hybrid engine aims at producing 1,000 PS (987 bhp); 84 bhp over the current model, although McLaren did not disclose whether the power increase is from electrical boost or tuning the twin turbo 3.8-litre V8. Performance figures are unconfirmed. P1 GTR weight was reduced by 50 kg and deliver power-to-weight ratio of 687 bhp per tonne. 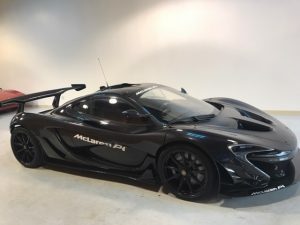 The P1 GTR can accelerate from 0-60 mph in just 2.4 seconds, with the top speed at 225 mph (362 km/h), brake from 60 mph to 0 in 85 ft, and corners at 1.54 G.